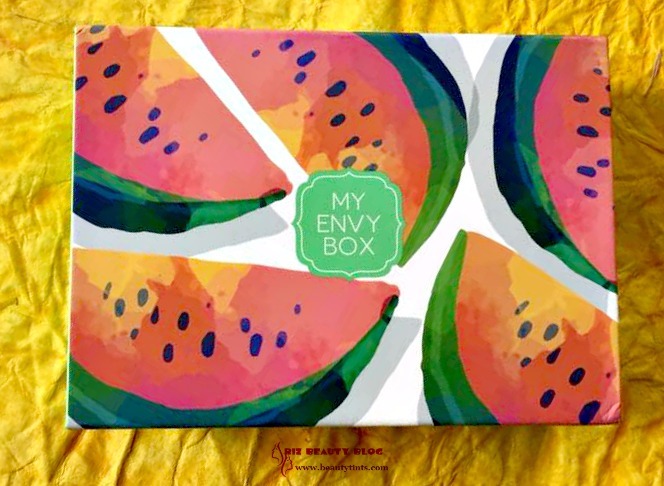 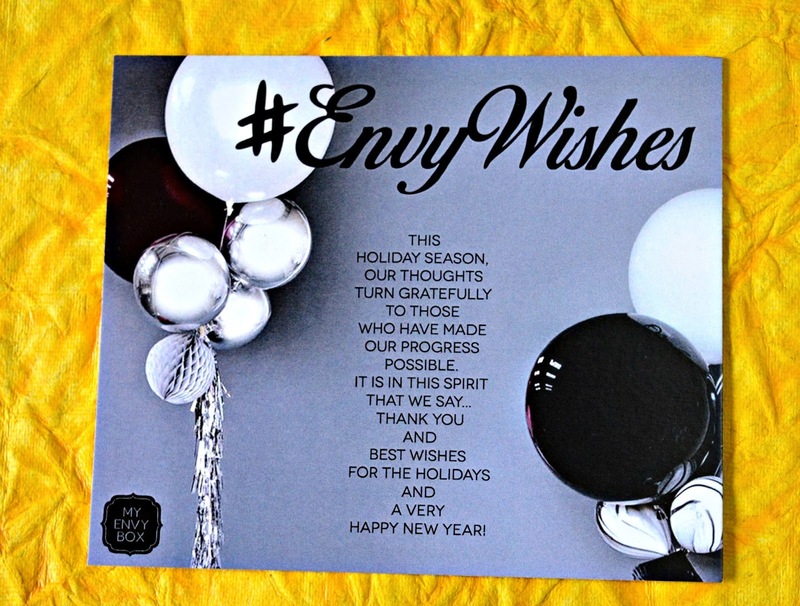 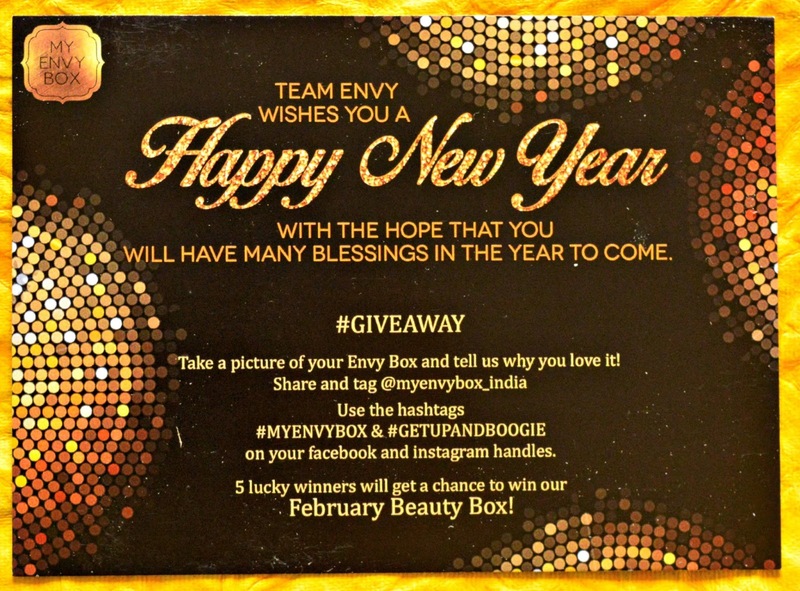 Sriz Beauty Blog: My Envy Box May 2017 Edition Review!!! 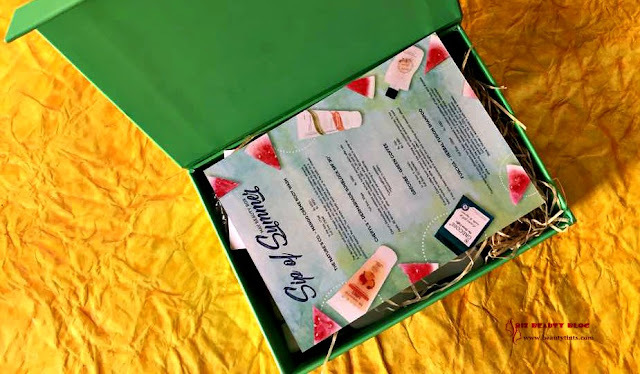 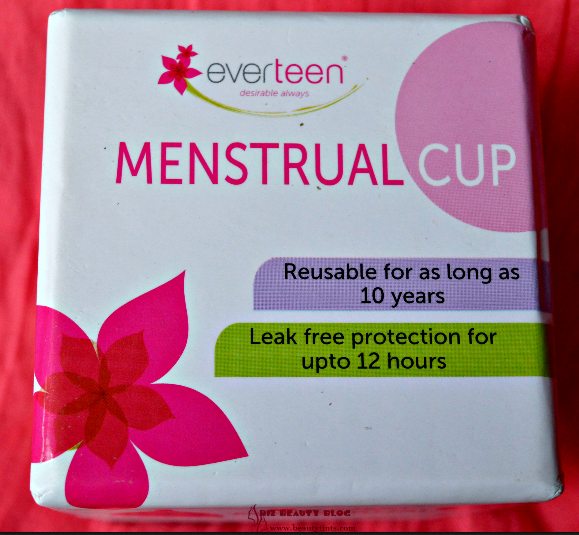 Summers are already here and to get some relief from Summers, My Envy Box May Edition ' Sip of Summer' is here with a lot of essentials for this season.Without any delay, let's see what's inside??? This month's box has watermelon print to go with the theme! 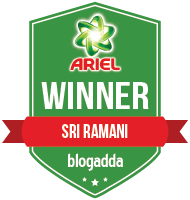 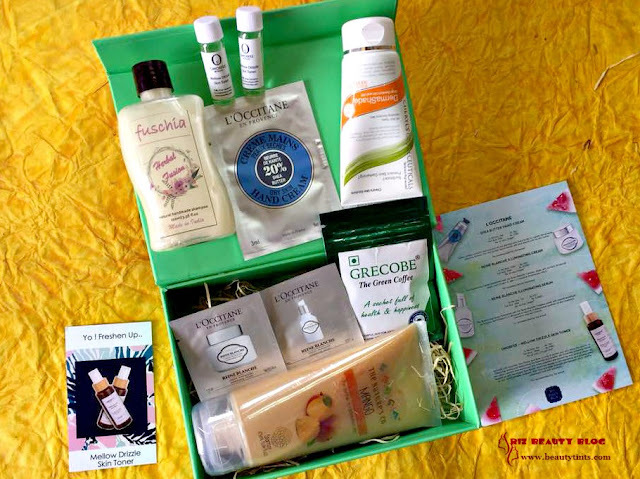 Lets See what I received in this Month's Box in detail : This time I received 8 products of which most are decent sized! 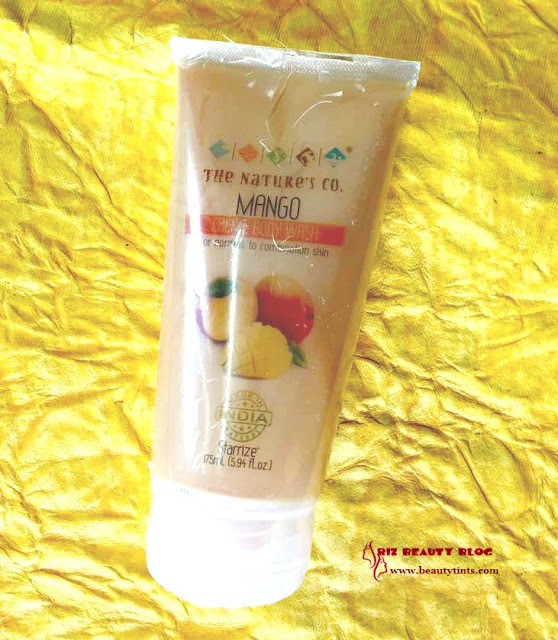 1) The Nature's Co Mango Creme Body Wash(175 ml) : Rs. 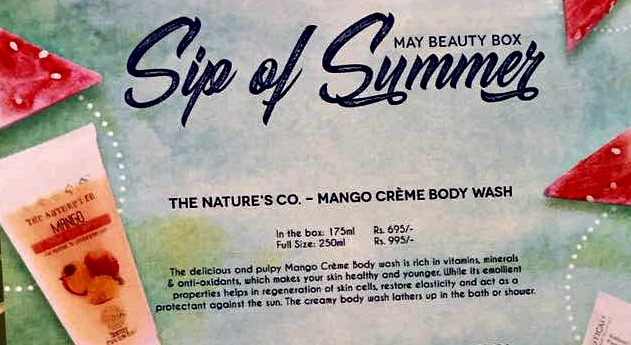 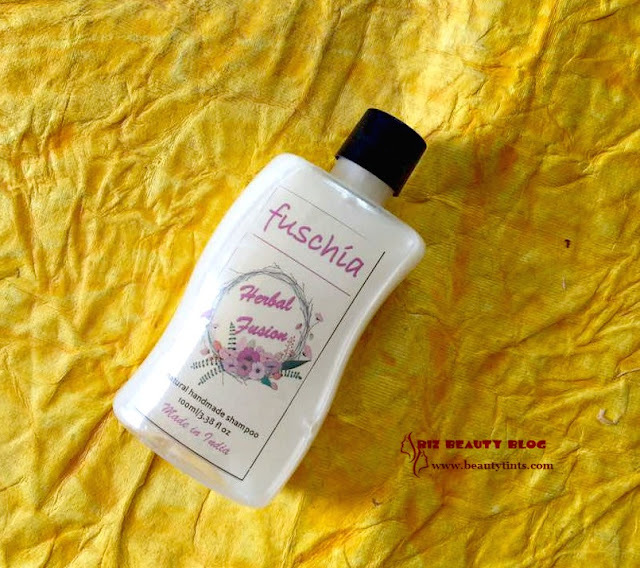 695 :: This is a decent sized product and if you have been following my blog for a while, you will know how much I love The Nature's Co products,as they are chemical free and cruelty free.I am super delighted to receive this mango body wash.This is priced at INR 995 for 250 ml. 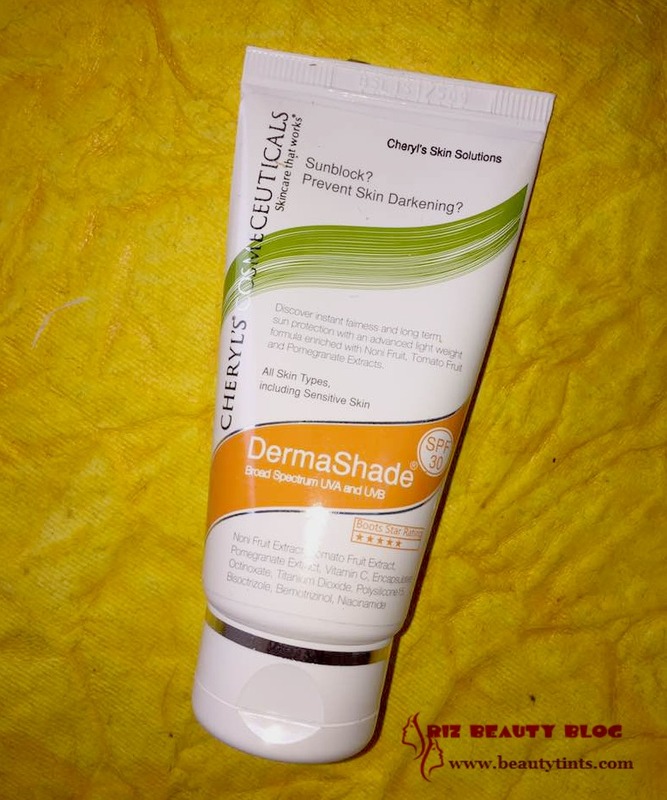 2) Cheryl's Dermashade Sunblock with SPF 30 ( 50gm /INR 550) : This is the first full sized product and I have received the Cheryl's o2C2 Radiance lotion in January Edition,whoch I absolutely loved and looking forward to try this! 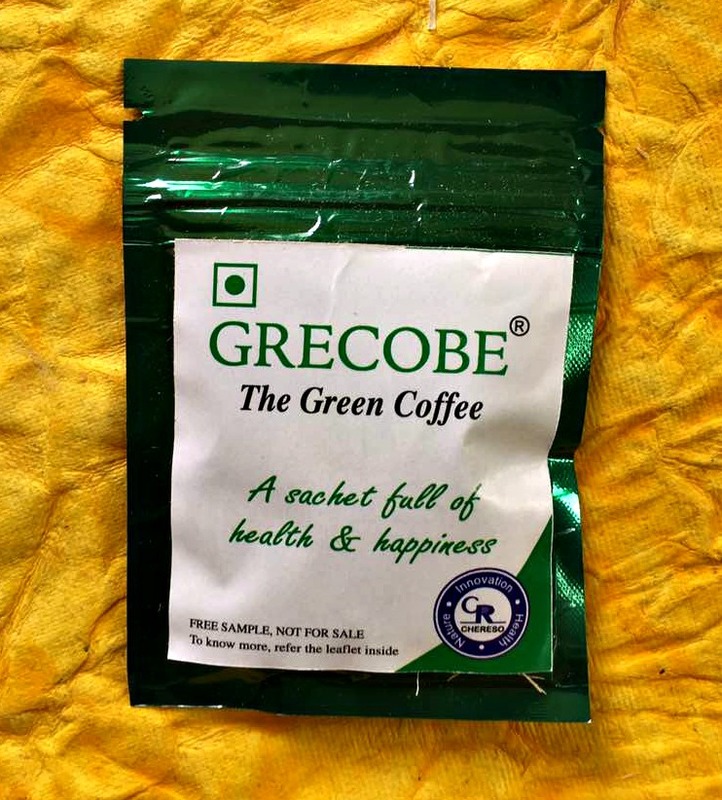 3) Grecobe Green Coffee : INR 70 for 5 Sachets:: I have heard of green coffee before but never tried.I am excited to try this! 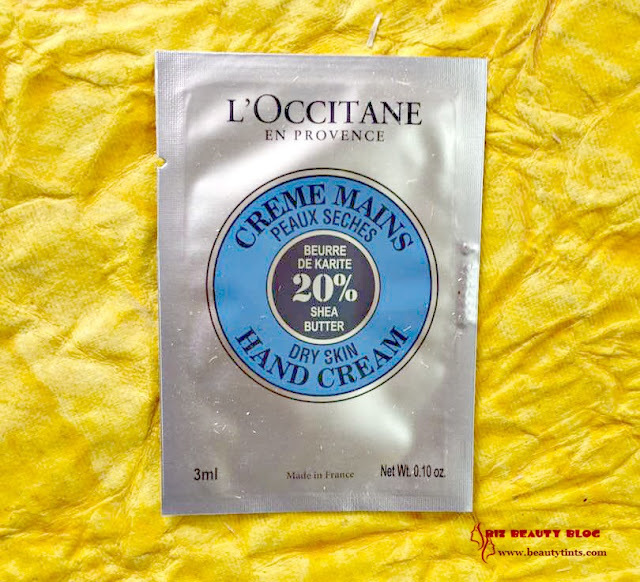 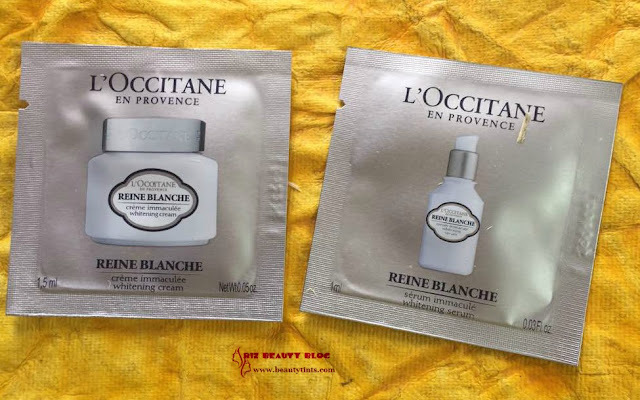 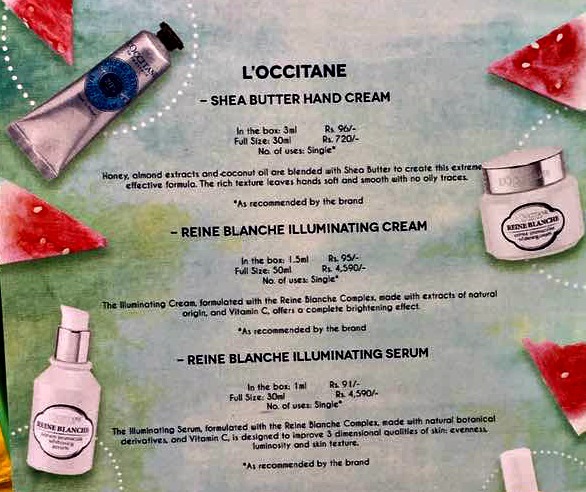 5) L'Occitane Samples : There are samples of L'Occitane Shea Butter Hand Cream,Reine Blanche Illuminating Cream and serum, one sachet of each. 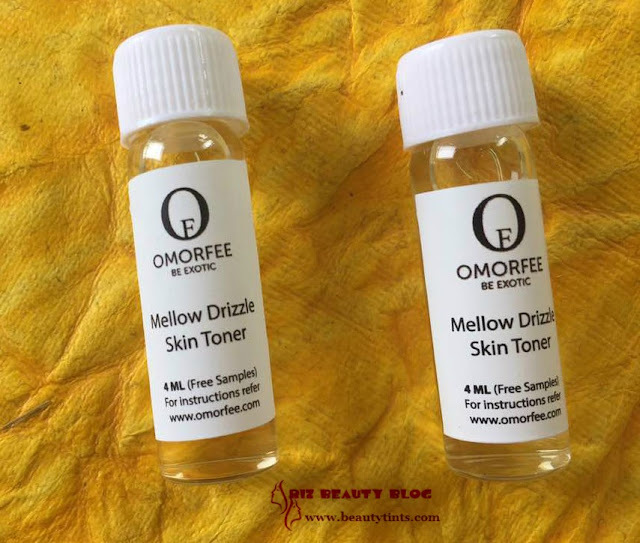 6) Omorfee Mellow Drizzle Toner : There are 2 X 4 ml samples of this toner in the box.I am in great need of a toner right now and I am happy to receive these. 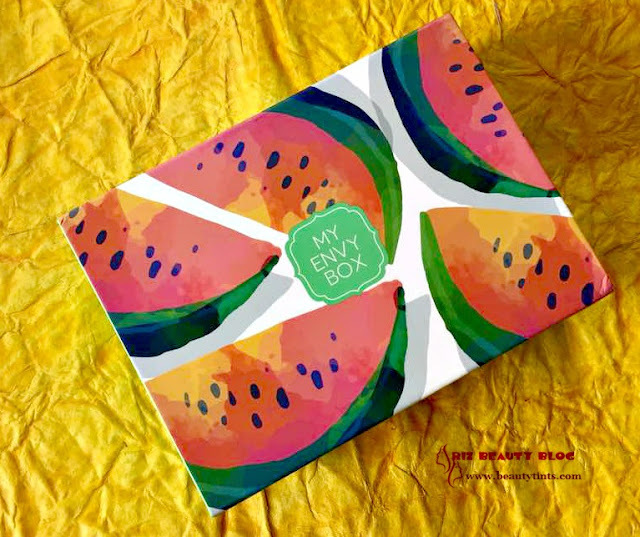 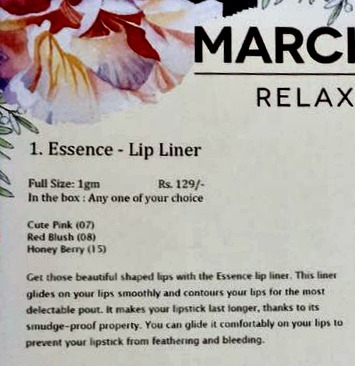 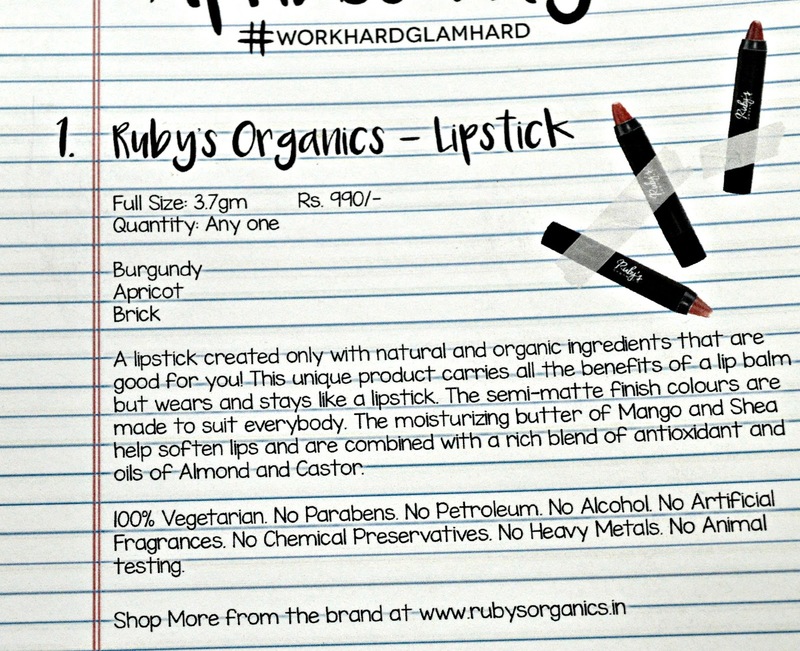 Final Conclusion About 'My Envy Box' May 2017 Edition Box: This Month's My Envy Box contains a good mix of products ranging from skin care, hair care to body care products selected especially for summers! 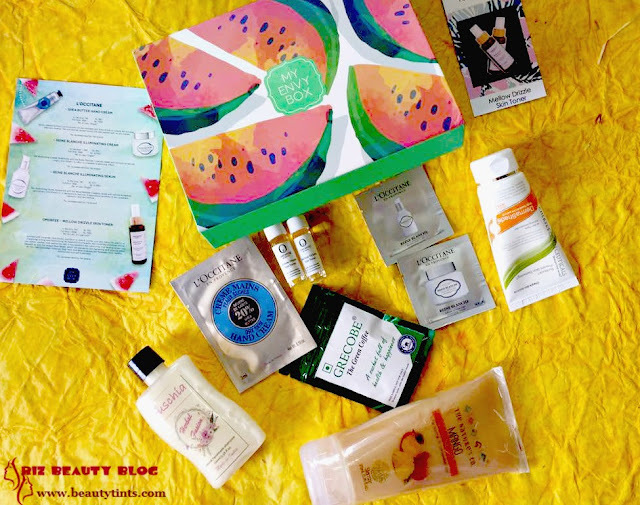 Overall a great box and total worth for the money!